Above you can see a map of Edinburgh with Craigwell Cottage, The Scottish Parliament, The Palace of Holyroodhouse, Waverley Station, the Royal Mile and Dynamic Earth marked on it. For those using satellite navigation to find us, our postal code is: EH8 8DR. We like the clean lines of this Open Street Map, and it might be useful for you to print off a copy so that you have it to hand on your travels. how do I get there from…? We’ve included links to Google Maps in each of the sections below which you can print off and use on your journey. 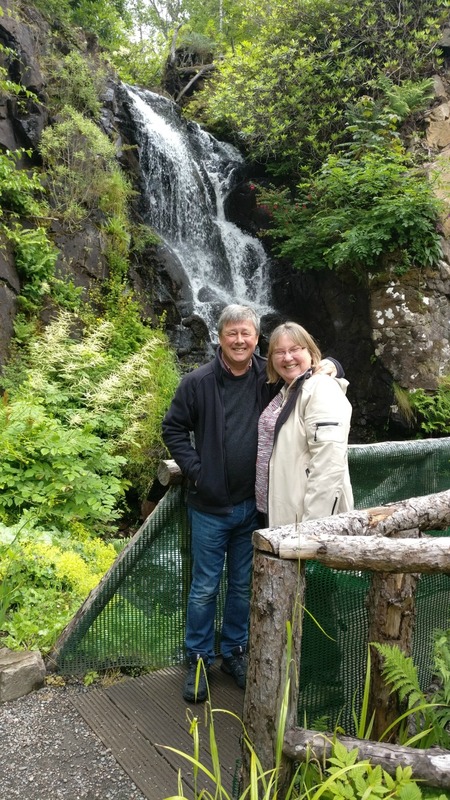 By Air – Craigwell Cottage is about 10 miles from Edinburgh Airport. See map. If you’re travelling by bus from Edinburgh Airport, then the Lothian Buses Service 35 stops at Scottish Parliament/Holyrood – just ask the driver to tell you where it is. You can find a timetable for this bus service here or on the Lothian Buses website. There is also an express Airport Bus service which runs more frequently, to/from Waverley Bridge off Princes Street (timetable link). Or if you’re in a hurry to get here and make the most of your stay, the Airport Taxis will get you here fastest. You can catch a tram from Edinburgh Airport to St Andrew Square or York Place, then either walk or take a taxi to Craigwell Cottage. If you wish to take a taxi, alight at St Andrew Square where there is a taxi rank. If you wish to walk from York Place, get off there and proceed towards the rear of the St James Shopping Centre/OMNI Centre, crossing at the pedestrian crossing at Leith Street, then head uphill where you will see the entrance to Calton Road on your left. Continue past the Calton Road exit from Waverley Station and down Calton Road where you will find Craigwell Cottage. See map. By Bus – Craigwell Cottage is under a mile from the city centre bus terminii at Elder Street, or St Andrew Square. See map. The local Lothian Buses stop close to the Cottage, either outside the Scottish Parliament Building or in Canongate. Service 300 (timetable link) runs between Edinburgh Airport and Ocean Terminal. Service 6 runs between Hanover Street and Horse Wynd for the Scottish Parliament and Palace of Holyroodhouse (timetable link). Fares are very reasonable at only £1.60 for each journey, or £4.00 for a day ticket. You can see the walking route from the stop at Abbeyhill (Queen Mary’s Bath House) on this map. By Rail – Craigwell Cottage is under a mile from Waverley Railway Station. See map. There is a pedestrian exit from Waverley Station directly onto Calton Road – just follow the steps at the end of Platform 2, and it’s only a short walk from Craigwell Cottage. See map. But if you arrive with lots of luggage, you’ll find a taxi rank at Market Street (signposted within Waverley Station) and the taxi ride will only take a few minutes. 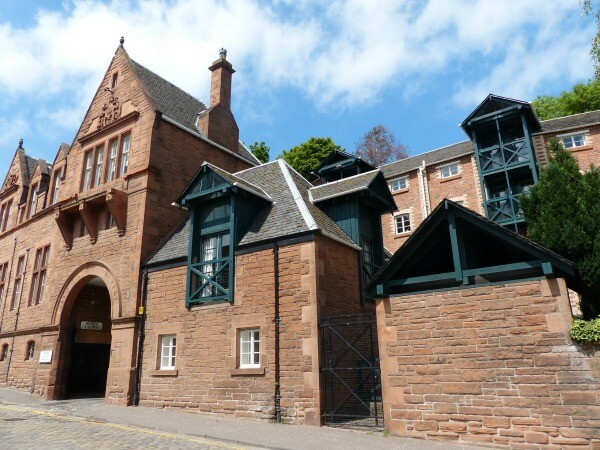 From the local Tourist Information Centre – the nearest Tourist Information Centre is at Princes Mall on Princes Street, and Craigwell Cottage is less than a mile from there. 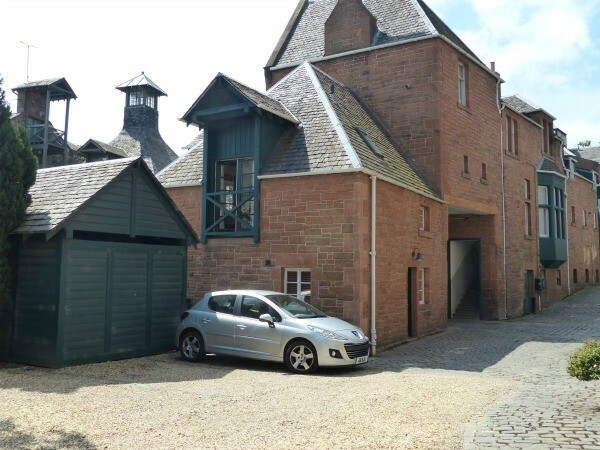 Parking for one car only is available at Craigwell Cottage in the private courtyard of Nether Craigwell. This is a huge benefit in Edinburgh City Centre, where parking is at a premium. Approaching Edinburgh from the south-east – from the A1/A720 (Edinburgh City Bypass) junction at Old Craighall Roundabout. Approaching Edinburgh from the south-west – from the M6/A74 at the junction of the A74/A702 junction at Abington. Approaching Edinburgh from the west – from the M8 at the A720 (Edinburgh City Bypass) Junction. Approaching Edinburgh from the north – from the Forth Road Bridge (A90). Please note the location of the parking space. Between the wall of the cottage and the first line of cobbles. For illustration we show a compact car and a larger car parked in the space. Best if you reverse in. 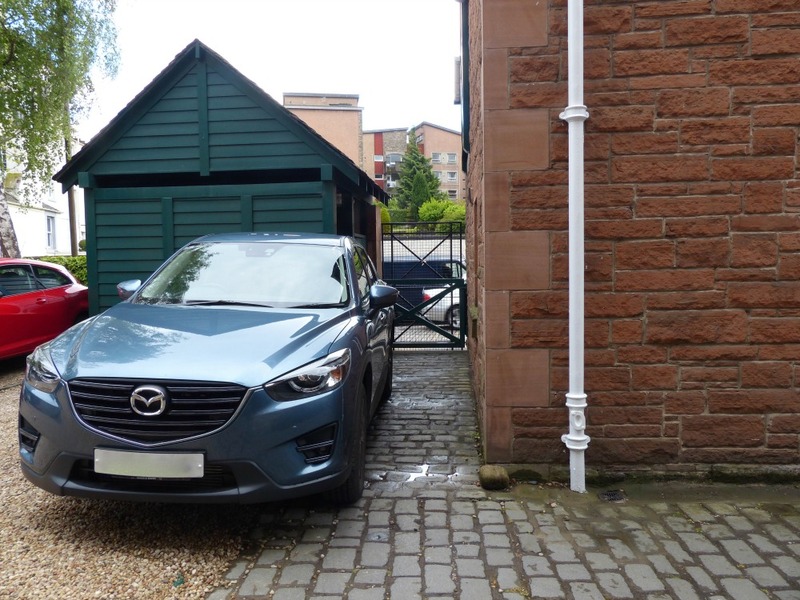 Parking in the correct space is important as each property has its own allocated parking space.